We have so many tips to share we had to split them up. Here are more money saving tips for homesteaders. Last week’s tips are here. Write down every penny you spend for three months. You’ll probably spot money trickling away that you weren’t aware of. Stop using paper towels. For what you’d spend on an 8 pack of paper towels you can buy four or five cotton dish towels. 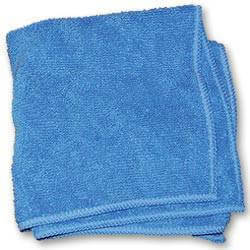 We have packages of 100 and 250 dairy towels for less than a dollar each. You can split an order with friends. Use, wash and reuse these towels for cleaning time after time. Speaking of cleaning, use half the detergent called for. Let your laundry soak for an hour if necessary. You can do without fabric softener. A splash of vinegar in the rinse water will help remove the detergent build up that makes clothes stiff and scratchy. Make your lunch to take to work. I called McDonald’s this afternoon. A Quarter Pounder with cheese is $3.99. Leftovers make nice lunches. Drop your gym membership. Walk, snowshoe, small equipment purchased second hand, the opportunities are numerous. Do you need your vehicle? If you already have one vehicle that’s dependable and you’re shopping once a week, can you do without a second vehicle? You might be able to coordinate trips with friends by offering to pay for the gas. If you live in the city or suburb it might be worth a taxi fare to not have to make a vehicle payment, insurance payment, and pay for upkeep. This doesn’t mean you’ll never have a second vehicle again but for now, do you need it? Don’t renew your magazine subscriptions. Or, choose your favorite and call the 800 number on the renewal slip. Offer then $10. They’ll probably take your offer. Or send the slip back with a check for $10 and a note making the offer. I’ve done it three times when money was tight and my offer was always accepted. Cancel your internet. Use public access at the library. The exception – if you can make more money by having your own account than you spend to have it, keep it. Do you have an extra bedroom you can rent out? Turn off cable. Read books and play games instead. You can find board and card games at Goodwill and yard sales. You can probably buy at least one brand new board game for the price of your cable bill as a way to get started. Do you have a cell phone and a land line? Pick one and disconnect the other. I saved $430.56 a year by disconnecting the land line. Can you share wifi with a neighbor? Barter for repair work you need. Will your plumber work in exchange for something you have and can spare? I had a couple of minor repairs done for a loaf of homemade bread a week for four weeks and a batch of strawberry jam. Pay half of your mortgage every other week. We cut seven years off our mortgage by doing this. Having auto pay take the mortgage payment out of the checking account each payday saved us a quarter of a percent. Avoid the deli. Deli meat can be very expensive. $8 a pound for roast turkey breast at the deli vs $1 a pound for turkey roasted at home is a big savings. That extra $10 a week you put aside to stock up is well spent when meat goes on sale. Turkey salad from fresh roasted turkey is much nicer than sliced deli meat. Attend free events. You don’t want to be stuck on the homestead all the time. Get out now and then. It will help you dig in and save money by giving you something fun to look forward to. Do you have tips to add? Leave them in the comments and we’ll move them up to the list. This entry was posted in Homesteading, Preparedness and tagged saving money on February 23, 2015 by Homesteader's Supply. We’re taking a break from gardening in the blog for a couple of weeks to help out a fellow homesteader. We received a request from a family who is struggling to make ends meet. They need money saving tips while they work on ways to add income to the family budget. We did some brainstorming and came up with a long list of tips. Nicky Smith suggests not having a clothes dryer. The amount of money you’ll save in electricity will pay for clothes racks and lines in a few months. Hang your clothes outside when the weather cooperates and near a heat source in the winter. Thanks to Nicky for sharing her tip on Facebook! Julie Dodd shared her tip on Facebook. “Unplug and turn off every light…not in use…saves a bundle.” Did you know that? That little light on the DVD player, Wii, coffee maker and every other appliance you’re not using adds up over time. Sue Wickson, another of our Facebook faithfuls, suggests not spending. “Don’t. Spend it.” Period. Just don’t spend money. It’s surprising what we can do without if we flat out refuse to spend the money. 3.5 Stay out of stores. Do your grocery shopping no more than once a week. Do all of your errands on that day and do go shopping again that week. It takes a bit to get organized but you can do it. Shop sales. That seems obvious and we all know this but it’s easy to fall out of the habit. Stock up on items that have great sales. If possible, set aside $10 additional money for stocking up on those items. It might be hard in the beginning but after a couple of months it’s worth it. No soda, fancy coffee, sports drinks, flavored creamers, etc. Drink water. Add a slice of fresh citrus or sprig of mint for variety. Having given up soda 15 months ago, I know it’s hard but it’s worth it. I feel a lot better! Are you sure you need an extended warranty on purchases? Your state might require manufacturers to stand behind their products for a reasonable amount of time, usually longer than the basic warranty. Look for “implied warranty.” In some states it’s enforced by the attorney general’s office. Make your baby food. Puree what you’re eating as long as it’s not too spicy, hot, etc. Puree before you add salt, pepper and other seasonings if your child is too young for them. You can freeze the puree in ice cube trays. Glean. Check with local farms to find out if they allow gleaners into the field to clean up after the harvest. Broccoli side shoots, cabbage that was missed, potatoes that weren’t dug, whatever the vegetable is, it’s worth asking for. Make your own bread. I pay $6 for two pounds of bulk yeast. That’s the cost of two loaves of not very good bread. For about $1 a loaf I can make larger loaves of excellent bread that’s more filling because it’s higher in fiber and better for us. I mix up my bread at night and let it rise in the cool/cold kitchen. The added heat in the kitchen each morning is nice. Skip do-dads. Decorate with items you can gather. Skip goodie bags for birthday parties. A homemade useful item in the Easter basket will be used and remembered much longer than a do-dad that’s lost in a day or two. Love to learn? Try free classes online. Coursera offers a lot of free classes. A quick internet search will turn up more options. Or learn from friends and neighbors. Learning a useful skill can lower or eliminate a repair bill some day. Are you a blogger with a good following? Test products and blog about them. You get to keep the product in exchange for an honest review. Don’t keep egg laying chickens or ducks unless you’ve crunched all of the numbers and know you’re not losing money, and if someone nearby sells eggs. By the time I pay for fencing, nest boxes, shelter, food and all the other expenses I don’t save any money raising them myself. 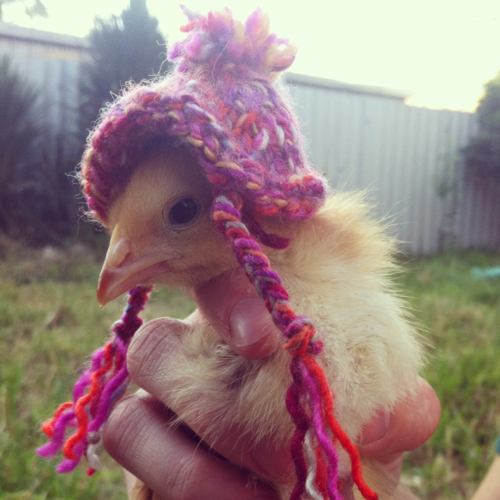 I’d stop raising layers if I could buy them locally. Buy quality. You don’t have to buy items brand new. Shop at thrift stores and pawn shops for lightly used items in good condition. If you buy quality once it’s less expensive in the long run than buying inexpensive items that don’t last. 15.5 Try pawn shops later Friday or first thing Saturday after items have been pawned for weekend money. Leave a list of what you need and your name and contact info with the shop. Limit dry cleaning. Spot clean when necessary. We take our wool pants and vests to the dry cleaner in the spring. That’s it. Once a year. Sell what you don’t need. If you haven’t used something for a year you probably don’t need it. Earn some extra cash to put toward the extra $10 on stocking up on grocery sales. Have an energy audit of your home. Cover windows with shrinking plastic. You dry it with the hair dryer and it shrinks to fit and is clear. Use towels or blankets on the windows on the coldest nights. Caulk leaks. Close off the heat to rooms you don’t use. We don’t heat our bedrooms. Instead, we have heated mattress pads and an extra blanket. The mattress pad warms up the bed for about an hour before we go to sleep. It’s warm and cozy and we stay that way overnight. Avoid expensive household cleaners. Vinegar does a great job of cleaning. We’ll continue this next week. There are still a lot more tips to share. This entry was posted in Uncategorized on February 16, 2015 by Homesteader's Supply. What’s a salad without cucumbers? We need them to add to the tomatoes and peppers. There’s nothing like a fresh cool cucumber sliced thin, salted and mixed with mayonnaise, and piled high between two slices of homemade bread. It’s a summer sandwich we wait months for and enjoy for such a short time. You can choose your cucumbers based on the amount of space you have if need be. There are bush varieties suitable for small spaces. 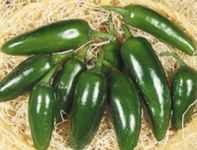 Short vined cucumbers work well in large hanging baskets or wrapped around tomato cages, and long vined varieties that do well on hog or cattle panels, clipped to twine or across trellis. And of course, if you’ve got the space, let them sprawl in the garden. Cucumbers can be direct seeded in rows or mounds. Amend the soil before planting the seeds. If you’re planting in rows you’ll want to thin the plants to 18 to 24 inches apart. In mounds, plant three seeds in a two foot wide by one foot high mound and leave the two strongest seedlings to grow. If you have a blank spot you can use the third seedling to fill in. Mounds of soil warm faster and drain well but you’ll need to keep an eye on the moisture to be sure they don’t dry out before the roots have reached level ground. If you want to get a head start on the season you can start your seeds indoors in seed starting medium about a month before you’ll transplant the seedlings. Transplant when the second set of true leaves is forming and before the plants become root bound. Root bound vine crops will be stunted. They are fussier about their roots than most other vegetables. If you notice tiny cucumbers dying you’ve got a pollination problem. You can hand pollinate them buy moving pollen from a male flower (no cucumber at the base of the flower) to the female flower using a small paint brush or Q-tip. Straight Eight is our all time favorite slicing cucumber. 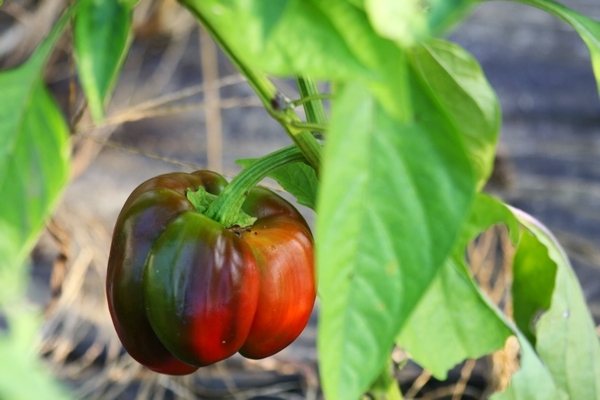 It’s an heirloom variety that requires about 65 days to maturity. It is prolific so you’ll want to check the plants for mature cucumbers every day or two. You may prune back new shoots on the vines to keep growth concentrated in the cucumbers. Straight Eight is a straight eight inch cucumber great for those cucumber sandwiches. Water well. Cucumbers that don’t get enough water will be misshapen and bitter. They benefit from soaker hoses that slowly drip water close to the roots and keep the soil moist six to eight inches down. Over watering can lead to tasteless cucumbers but in the summer heat that’s usually not a problem. To prolong the harvest I plant seeds one week after planting the cucumber transplants. When the transplants have played out the seeded plants will still be producing. Cover the plants when there’s a danger of frost as these plants are particularly susceptible to frost. This entry was posted in Gardening and tagged container gardening, Gardening on February 9, 2015 by Homesteader's Supply.